Register up to 5 devices for free with a Developer Account and enjoy access to Device Cloud’s suite of features to design and develop your Internet of Things solution. Password * Use 8 to 64 characters. Include 1 uppercase letter and number. Include 1 of the following symbols (!@#$%^&+=). If you are working with a Digi sales representative on a current hardware project, or if a sales representative referred you to this trial, please specify the rep’s name below. Enjoy 30 days of free access to Digi Remote Manager. 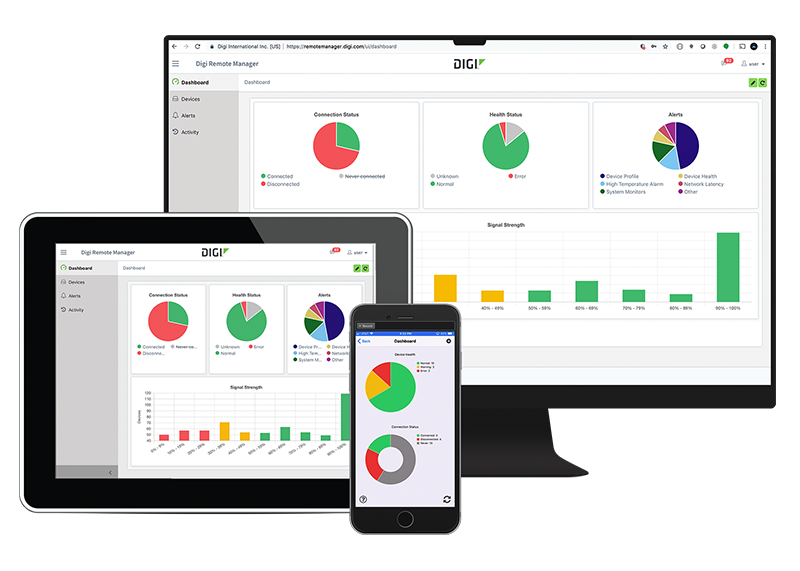 Register up to 100 devices and see how Digi Remote Manager’s suite of device management tools can help you meet performance and security requirements with fast, efficient troubleshooting, remote configuration and device monitoring.